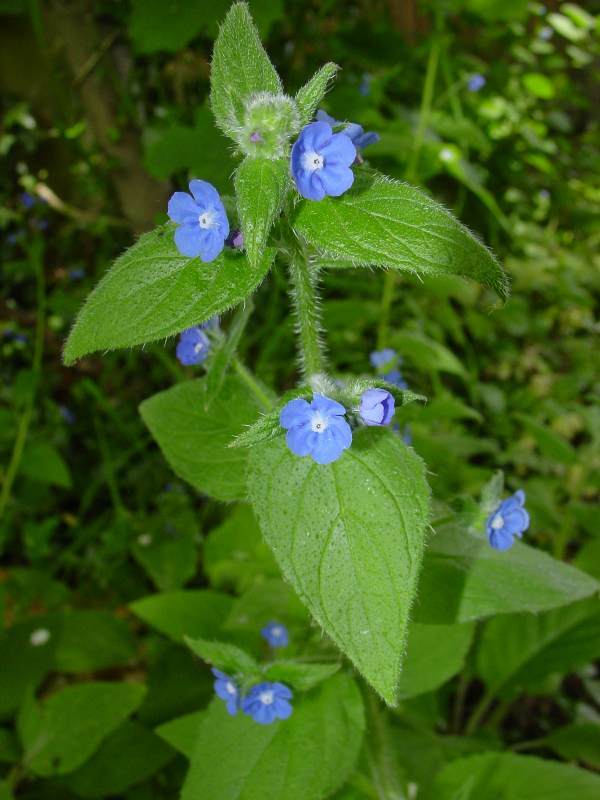 Green Alkanet is common and widespread in the southern part of the UK, less so in the midlands and north, and only found in the east and south of Ireland close to the coast. Its flowers are similar to those of theforget-me-nots, and that is because it is a member of the same family - the Borages (Boraginaceae). This is a tall plant of woodland edges, roadside verges, and shady hedgerows, and its first flowers appear in April. Flowering continues until July. 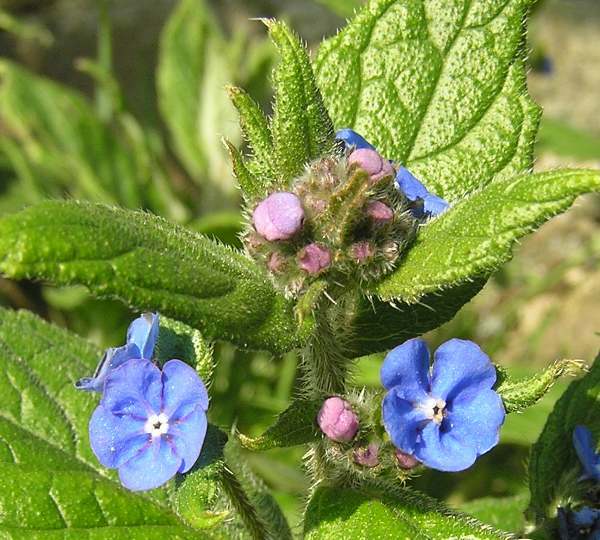 Like many members of the borage family of plants, the buds of Green Alkanet flowers are pink, and it is not until they open fully that they become the startling blue colour that always catches our eye as we drive along country lanes. The plant is naturalised in the UK having arrived here from southern Europe. The name alkanet comes from the arabic name for henna, and the roots of Green Alkanet can be used to produce a red dye. The pictures on this page were taken in country lanes in Pembrokeshire in South Wales in May.